Shenzhen Xinhonglian Solar-Energy Co., Ltd, founded in Oct. 2002, is one of the first integrated hi-tech enterprises which manufactures a wide range of solar products like Mono/Poly-Si Solar Panels, Solar System, Solar Lamp and other solar related consumer products. We have a complete & systematic division of R&D, Manufacture, Sales, Installation, Technical Support, and After-sales Services. Our Strengths: 1. Senior solar experts from home and abroad; 2. Innovative & passionate R&D team; 3. Professional marketers; 4. Prominent management personnel and engineers; 5. Advanced production & testing facility; 6. Dedicated staff; 7. Garden-style working & living quarter; 8. Qualified by ISO9001:2004, IEC, RoHS and other relevant international standards. 9. OEM service available. 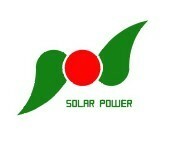 Now, we essentially produce solar modules, solar systems, solar traffic items, solar lights and solar consumables, etc. Solar panels: 0.1-3W mini epoxy resin solar modules; 2-360W tempered glass laminated solar modules. Solar systems: 10W-8000W small/medium stand-alone PV systems, we can also design large photovoltaic system. Solar traffic items: Solar traffic sign, Solar stud, Solar traffic warning light, Solar obstruction light, Solar lanterns and so on, used in civil traffic projects. We can also project and install solar power-supply systems for freeway. Solar lights: Solar lawn light, Solar garden light, Solar street light, Solar landscape lights, Solar stair light, solar signboard. Solar consumables: Solar chargers, solar flashlights Solar energy. Solar is the best solution for residential, commercial and industrial power supply. Wherever sun shines, solar is your smartest choice. We are gratified to be able to care global efforts in advancing renewable energy technology for a cleaner world and a better future.